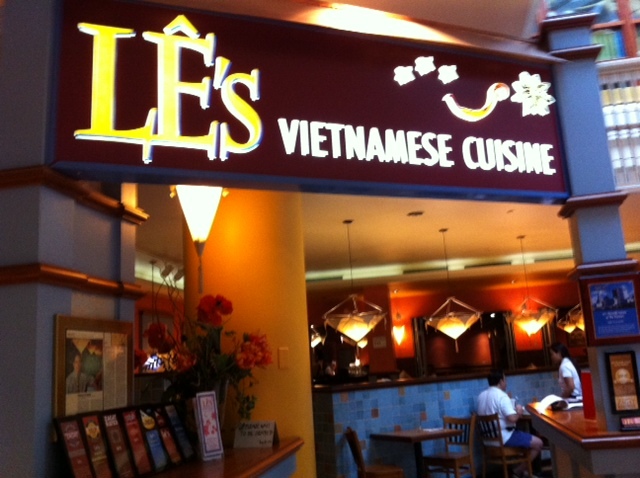 Lê’s Vietnamese Cuisine on the bottom floor is next to go. Manager Vin Lê says that their last day is August 26th. Employees will be redeployed as well to either of their 3 locations: Cambridge, Dorchester and Allston. Vin will be moving to manage the Allston restaurant when this restaurant closes. I wonder what will happen to the huge fish tank? If anyone is interested in it for a home or business, contact Vin! Have you been inside the Atrium Mall lately? I went today and it’s starting to look like a vandalized ghost town. Still, there are deals to be had. Pottery Barn is, not surprisingly, having a floor model sale with discounts from 20-40% off large pieces.We picked up a floor lamp and received a 10% discount. Pottery Barn will be moving next door to the new complex that will contain the new Wegmans super market. Despite the store closures around them, the sales people at Pottery Barn are as cheerful and friendly as ever and the store looks beautifully merchandised. They are staying open at the Atrium Mall until January 1st. I heard that in order to turn the Atrium Mall into a medical complex, they will need to provide more parking spots. I wonder if this ground floor will be a parking lot. I guess it just needs more structural support. Will you miss the Atrium mall? Will you go to Allston for Vietnamese food? We will! See you there! Hmmm.. I am so distracted about what is written on that menu board. 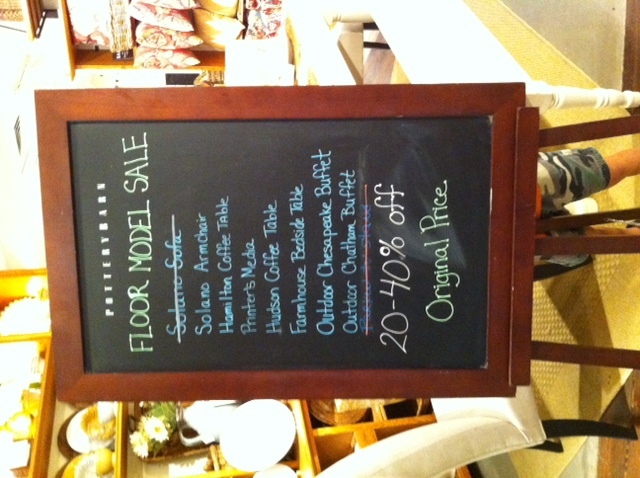 Floor model sale? What was that? They are selling items on display. It’s listed on a board in front but you can also ask.